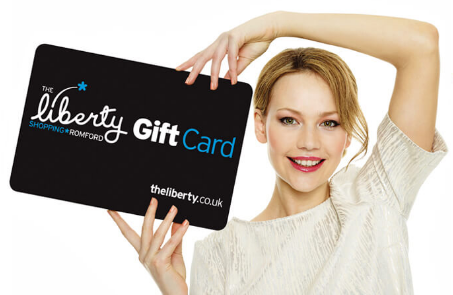 The Liberty Gift Card is now available from the customer service desk. It’s an ideal gift that allows friends and family to choose their own presents from our great selection of over 100 stores within The Liberty. Card expires and cannot be used 12 months after the date after purchase. This card can only be used at participating Liberty Shopping Centre retailers. Purchase or use of this card constitutes acceptance of the terms in the Cardholder Agreement.